Melinda Winner from http://cookingwitharthritis.com/. Besides creating a forum to discuss living with arthritis, Melinda, has a cookbook, and cooks up amazing recipes like Gulf Shores Lobster, Shrimp, and Sea Scallops and Risotto with Basil and Rosemary Cream Sauce and Backwards mini Zucchini Blueberry. Cinnamon Spice and Everything Nice is hosted by Reeni at http://cinnamonspiceandeverythingnice.blogspot.com/ and is my second nominee. Sounds a lot like my name doesn't it? Reeni has been a great cheerleader for me as I have been learning how to blog, but it doesn't stop there. 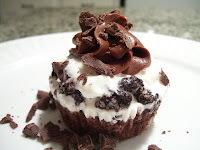 Reeni's blog is beautifully done with fantastic recipes and pictures. 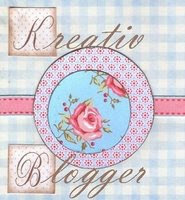 Her blog aways has a great idea that I can't wait to try! She received this award from another fan, at about the same time I started composing this post-so I hope she doesn't mind. Third my new friend Van Thyme. What can I say, but it's a great blog? This one was too easy, you all know how much I love cupcakes! If she doesn't quit posting cupcakes I am bound to get super large. She's not all sweet treats, and her blog is fun to read.http://www.vanillaandthyme.blogspot.com/. Sunshine Mom is fourth and not much different from myself, is a busy mother, who tries to cook it up in a healthy minded way. If you want to know how to make a hasselback Potato, check her out at http://sunshinemom.blogspot.com/. Fifth is my first blog buddy 5 Star Foodie, besides having a great bog , she is super friendly and popular. She uses foam quite often, if you want to know what that is, you had better check her out at http://fivestarfoodie.blogspot.com/. My favorite recent recipe was Collard Wrapped Sockeye Salmon with Shiitake Mushrooms and Fried Potato Cream-it looks super yum! Number six goes to Every Last Cookie, she can be found at http://everylastcookie.blogspot.com/. Lizzie is conquering the Martha Stewart Cookie Cookbook and bringing us all along for the ride. I love her sassy way of writing and think she does a wonderful job documenting her journey. And finally, Frugal Antics of a Harried Homemaker. Kristen drew me in with her family recipes, not overdone, but just right! I made her English Muffins, and they were yummy! Kristen and her family hang out at http://wiseanticsoflife.blogspot.com/. Now please know these nominations are in no particular order. I think they and many more bogs are fantastic. If you like to read blogs but don't personally have one, understand that we love the comments and support, it makes it sooo worth while. 1. I got a D in Home economics..my mother wouldn't let me take the second quarter (sewing) because she said if I couldn't cook, I surely couldn't sew. 2. My father and mother taught me how to plant, grow, and harvest a garden. There are very few things in life I find more rewarding than growing the food on my table. 3. Pretty much everything I do is pre-meditated....so if I murder anyone...you know I did it for sure! 4. I always have a song in my head. 5. I don't ever kill bugs purposely...not even in the house. 7. My husband's 85 year old grandmother lives with us and I live in the little house right next door to my parents...one of the greatest blessings of my life...one of the greatest curses as well. Ok, ok, I know, the pictures totally stink this week. one of those people that doesn't buy something wit My camera has finally met it's maker! I have to admit I'm pretty stoked...I am one of those people that doesn't buy things unless it is a complete necessity. And it's my birthday next week so i can ask for it! I would love suggestions as to what kind of camera to get. Anyway, here is the slaw recipe as promised. It has home made mayonnaise in the recipe that makes it super duper yummy...you must try this slaw. It's totally fresh and compliments so many meals. If you don't love slaw, try it anyway! Combine the vegetables and fruits in a large bowl. Blend well in food processor the eggs, mustard, salt, lime juice and honey. Add the oil in a drizzle to the blending mixture. As the mixture thickens allow the oil to flow in a steady slow stream. This is called emulsifying. Mixture should be thick and not oily. Mix the sweet mayonnaise with the cabbage mixture and sprinkle with poppyseeds. Chill well. I'll post the recipe for the slaw tomorrow. In large bowl, dissolve yeast in 1/4 cup warm water (105°F to 115°F). Let stand 5 minutes until foamy. Add remaining water, flour and salt. Beat until dough forms. Preheat oven to 400 degrees. Lightly grease two baking sheets. After dough has risen the second time, press air out and divide in half. On a floured surface, roll each half into a 9 x12-inch rectangle. Place on prepared baking sheets and brush with olive oil. Scatter garlic, oregano, rosemary and parsley over surface of each and press lightly. Sprinkle with salt. Bake about 20 minutes or until golden. Combine all of the seasonings together. Preheat oven to 450 degrees F. Line a sheet tray with parchment. In a large bowl toss sweet potatoes with just enough oil to coat. Sprinkle with a tablespoon of seasoning, and the cayenne and cinnamon. Spread sweet potatoes in single layer on prepared baking sheet in a single layer.. Bake until sweet potatoes are tender and golden brown, turning occasionally, about 20 minutes. Combine all ingredients in heavy large saucepan. Simmer until reduced by at least a third. Season to taste with salt and pepper.